Private health insurance is a pretty lucrative business. In the US alone, there are 7,000 private insurance companies with total combined revenue of $938 billion in 2018, according to an IBISWorld report. But private insurers need to use technology to solve existing problems in the industry. People are desperately looking for smart solutions that will cover their health-related needs, such as getting recommendations on the most appropriate health insurance plan, finding a reliable family doctor, or getting adequate medical help with a few taps on a mobile screen. Providing customers with a tool that meets these needs will help your health insurance company increase the number of loyal users and boost your revenue. Moreover, a functional and smoothly working health insurance application may easily become your competitive advantage. 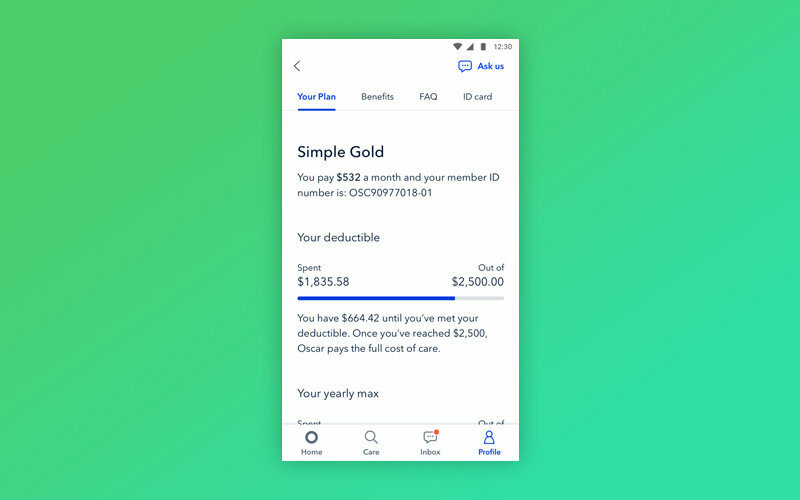 Oscar, a US-based health insurance startup, was among the first to understand the need to apply technology solutions to the health insurance industry. In 2012, the company created an application for iOS and Android that helps people easily manage health insurance policies and connects patients with doctors quickly and effortlessly. As a result, the Oscar app now has nearly 250,000 users and partners with around 3,500 doctors. It’s reported that the company’s revenue is expected to reach $1 billion by the end of 2018. Health insurance platforms are complex, bringing together brokers, patients, and doctors, all of whom constantly interact with each other. So as a rule of thumb, they require three separate apps: an app for patients, an app for healthcare providers, and an app for insurance companies. In this article, we overview patient apps like Oscar. This article will help you understand what functionality a patient app should have to provide your clients with high-quality medical service and let them easily control their insurance policies as well as enable smooth interactions between patients and doctors. What is Oscar and what problems does it solve? Oscar is a US-based health insurance company that provides health insurance plans for businesses, families, and individuals. The founders of the company developed the app to solve significant problems they identified in the US healthcare sector. A lot of paperwork is required to apply for or renew health insurance. First of all, your healthcare app should offer a convenient way to get insurance, schedule appointments, and receive coverage. Traditionally, the process of getting insurance has been associated with a great deal of paperwork, long queues, and long wait times to finally get a policy. Oscar’s health insurance applications allow users to fill in all documents online. In the US, everyone who wants to get individual insurance needs to make a hard decision about what type of policy they need. There are four levels of policies: bronze, silver, gold, and platinum. For most people, choosing an insurance plan can be a real problem since there’s no service to help them find a plan that will fully meet their healthcare needs. In addition, it may be hard to figure out subsidies. Oscar-like applications solve this problem by analyzing a user’s information and offering the most suitable plan. The next big challenge that faces every person both with and without health insurance is the disorganized and fragmented health care system. It can be difficult to find the right doctor. Traditionally, patients with insurance search for doctors in a large provider directory. Patients who have an HMO (Health Maintenance Organization) or POS (Point of Service) plan can visit specialists only after they’ve received a referral from their primary care doctor. So patients should also search for primary care doctors. PPO (Preferred Provider Organization) and EPO (Exclusive Provider Organization) plans let patients visit specialists without going to a primary care doctor first, but patients should additionally figure out whether their insurance will cover the visit. After a patient has found a doctor, they should directly contact the office and schedule an appointment. Most health insurance applications have a robust search mechanism so users can easily find the appropriate doctor. When thinking about the main features for your health insurance app, you should primarily focus on the problems that your application will solve for patients. Choosing the right plan is where the customer’s journey begins. You should do your best to make this choice as easy and pleasant as possible. Oscar has a convenient questionnaire that gathers basic information about every user to offer suitable plans. Another step is providing information about available plans. For this, your main task will be to think through the most convenient way to present information. In Oscar, all information is represented in the form of tables, which allows users to compare available plans and make a wise decision. Additionally, Oscar has an FAQ section where users can find all information about insurance policies. In the US, there’s a certain period when users can enroll in health insurance. But the app also provides the ability to get insurance at other times in case a user has a qualifying life event. This allows people to get insurance when something happens such as a birth or death in the family. The next step is helping users purchase their perfect policy. At this stage, users can see the real benefit of your health insurance app. Applying for health insurance has always been challenging and time-consuming. With a web or mobile insurance app, however, users can get a plan in minutes. For new users, Oscar offers a convenient application form that can be filled out online in a couple of minutes. After a user completes enrollment, they can see the effective date of coverage. The first bill should then be paid within ten days via the mobile app for an insurance company. Existing users can renew their plans and see when and how much to pay. This lets users keep an eye on their insurance. In Oscar, users can pay by check or money order, via phone, on the Oscar website, or in the mobile app. Of course, the most convenient method for users to pay for insurance is via mobile app. But if you decided a create app like Oscar and enable users to pay via it, you should implement a payment gateway. Insured individuals who don’t pay monthly premiums on time risk losing their coverage. To avoid such situations with your app users, integrate a payment gateway so that users can easily pay their premiums. For new users, paying by app is a convenient way to pay for life insurance for the first time. Implementing a payment gateway also allows users to quickly pay bills after a doctor’s appointment. Oscar has an auto-pay feature. Every month the app automatically charges for the premium so users don’t have to worry about missing a payment. There are several problems with searching for specialists. Oscar solves these problems in several ways. First, it has a team of concierges that analyze symptoms and direct users to the right specialists. Second, users can see a full list of doctors who cooperate with the company. It’s important to mention that Oscar is an EPO company, so it covers only visits to doctors who are inside the network. Search for nearby doctors. This requires the integration of geolocation and mapping services. Using Google Maps APIs, which include several APIs for making an app location aware, is the most common solution. Otherwise, you can ask users to enter their zip code to finds doctor in their area. Search for doctors by speciality or name. If a user knows for sure what doctor they want to visit, they can search by type of specialist or search for a doctor by name. To enable this functionality, you’ll need a robust database of doctors who work with your company. Don’t forget to add relevant filters that will help users find doctors faster. For instance, users might filter by experience, languages spoken, and the approximate cost for a visit. Appointment booking is another convenient feature that may be decisive for a user when choosing a health insurance company. Implement a calendar with available dates and hours for appointments. Your calendar should have clear navigation and a user-friendly design. Check out our concept for a booking appointment feature. But what if a user has no time to visit a doctor or needs quick help? In this case, you should let users call or chat with a doctor. Within chats, enable users to attach photos to messages in order to better explain their issues. Most insurance companies also cover prescriptions. To enable users to easily search for pharmacies, first of all you should establish partnerships with major pharmacies. Oscar uses CVS Caremark as its pharmacy network. Oscar collaborates with 60,000 pharmacies including CVS, Walgreens, WalMart, and local mom-and-pop stores. All drugs available at pharmacies are searchable in the app, so users can search the nearest pharmacy with the medication they need. To enable this functionality, you’ll need a database with information about pharmacies and medications. In Oscar, it’s not possible for users to get medicine delivered right to the doorstep. But you can think about implementing this feature in your app. This feature is widely used in medical apps, and implementing it in your app will give you good competitive advantage. Think through all possible ways for patients to get medical advice. 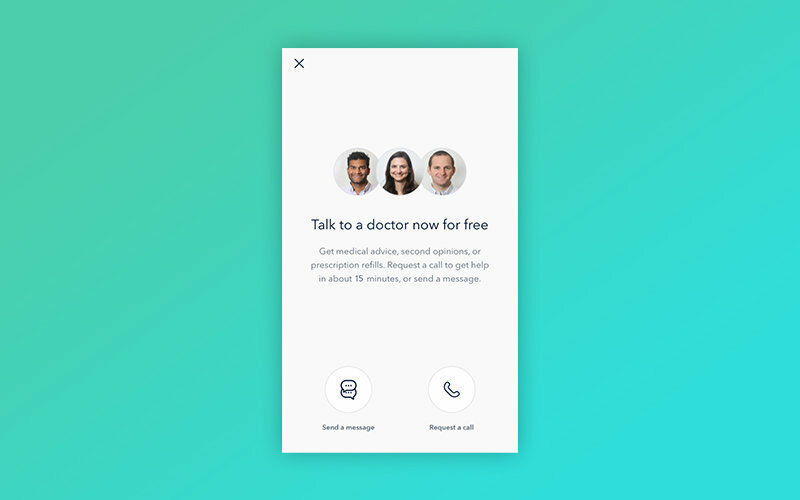 If your users have no chance to visit, call, or chat with a doctor right away, provide them with a chatbot or questionnaire that can make a preliminary diagnosis before visiting a doctor. Buoy Health leverages the power of AI to provide users with pre-diagnoses and refer them to the right doctor. First, it asks general questions about a person’s health. After that, the app asks leading questions. Based on this information, the healthcare app diagnoses the user and advises what doctor to visit. Instead of searching for important documents such as lab results or prescription recommendations, users can see all of this in your app. As well, you can provide users with the ability to share medical documents with doctors. In this case, it’s important to strongly encrypt users’ medical records so information won’t fall into the wrong hands. Implement push notifications to remind users about planned visits to doctors, the results of claims processing, and insurance expiration dates. Reminders help users not to forget about important events. Choosing a health insurance plan is not a spur-of-the-moment decision. Ensure potential customers that by choosing your company they can expect help at any time and they’ll be more likely to choose your company. Create a team of specialists who can help users find doctors, consult on insurance plans, and define whether a service is covered by insurance. Oscar has a concierge team of care guides and nurses that help users make appointments and find the right doctors and give health and wellness advice. Alan, a health insurance startup from France, has user care experts who can consult users in unclear situations. Protection of user data is one of the most crucial points when you think of health insurance app development. If your app operates in the US it needs to comply with HIPAA, which dictates standards for storing and processing sensitive patient data. HITECH, which stands for Health Information Technology for Economic and Clinical Health, was written in 2009 and serves as a list of additions to HIPAA. You can see the full list of requirements for apps operating in the US on the official website of the US Department of Health & Human Services. If you cater to citizens of EU countries, you need to make sure your app is GDPR compliant. In Canada, you need to follow the Personal Information Protection and Electronic Documents Act. The Data Protection Act set the rules for storing information of UK residents. You should also assure PCI-DSS compliance if your app has a payment gateway and therefore stores and processes customer cardholder data. Are Oscar-like services really in demand? #1 Should I create a health insurance app for the US if there’s already Oscar? There’s no denying that healthcare in the US costs a pretty penny. That’s why a high percentage of Americans are looking for health insurance. The US has a system of both public and private insurance. Public programs are available only for people with low incomes, people with disabilities, or people aged 65 and older. Forty-eight percent of Americans are enrolled in private health insurance through their employers. So what should self-employed people or those who have no insurance from their employer do if they want to get coverage as well? There’s only one solution — strike a deal with a private insurance company. 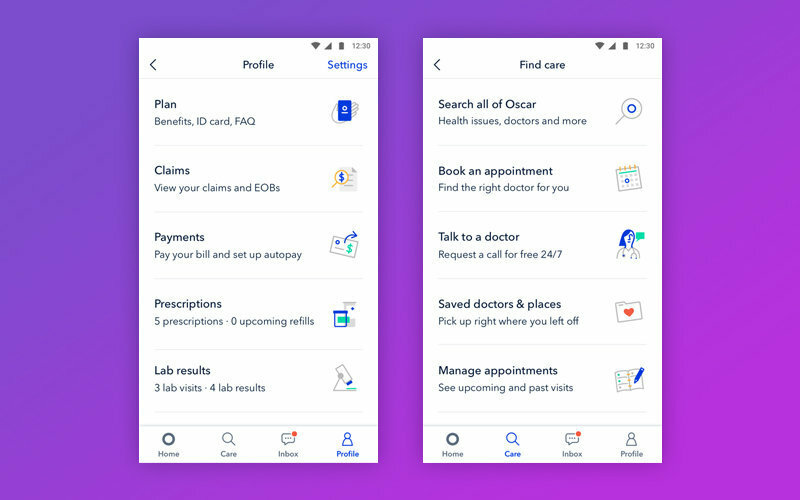 Oscar Health operates only in the US, so it’s quite logical to ask: Will a new health insurance app attract customers if it has a competitor like Oscar? First, Oscar only operates in Ohio, New Jersey, California, Tennessee, Texas, Florida, Arizona, Michigan, and New York. Second, users complain about no dental and vision insurance. In addition, they complain about the unclear list of services the company covers. That’s why entrepreneurs have every chance to create a robust Oscar rival that will solve existing problems and make health insurance even more convenient. #2 Is there demand for private health insurance in other countries? A lot of countries worldwide provide publicly funded healthcare. So the basic question that relates to these countries is, Is there a real need for private insurance companies here? Before creating an app, you should first discover the situation with healthcare in your target country. We’ll take several countries as examples. Australia has both publicly funded and private health insurance. As of September 2018, 46 percent of Australians had private insurance coverage, showing a pretty high demand for private insurance. 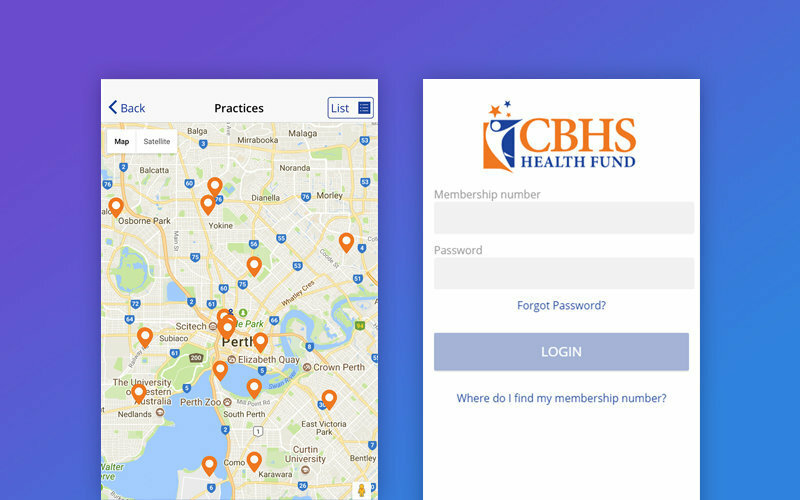 CBHS is a private health insurance fund run exclusively for current and former staff of the Commonwealth Bank Group. CBHS offers an app with good functionality, but it’s available only for bank employees. Most apps available on the Australian market have limited functionality. The Doctor Health Fund and HBF Health apps allow users only to start claims and contact the companies’ teams. In Finland, Finnish residents are entitled to use public healthcare. But problems with bookings and long queues make many people opt for private health insurance. Most companies allow patients to book an appointment on the website but have no mobile services to book on the go. Switzerland has wide open opportunities for private health insurers since there are no free state-provided health services but private health insurance is compulsory for everyone residing in Switzerland. Groupe Mutuel is a health insurance company from Geneva that has created an app that allows users to transmit various documents (invoices, referral vouchers, etc.) and overview contracts, benefits, and the status of deductibles and coinsurance. The app also has online support and a dashboard for managing payment deadlines. But users are unable to find doctors and schedule appointments with the app. As you can see, developing a health insurance app is pretty challenging. At square one, you should carefully analyze the situation in the healthcare sector in your area and learn what regulations you must follow. To create a health insurance app, first implement the main features and build a strong network of healthcare providers and users. In our next article, we’ll talk about how to solve the chicken and egg problem and attract both users and healthcare providers to the platform. We’ll also discuss how to create an insurance mobile app for healthcare providers. In case you have questions about developing health insurance software for patients or want to find out how much does it cost to make an insurance app, you can contact us.